Thanks to generous tax breaks, robust infrastructure and experienced crews, the state of Georgia has grown into the third-largest production hub in the U.S. Features, TV series, animation, music videos, commercials and games all qualify for credits of up to 30%. There are no limits or caps on Georgia spend and the program has no sunset clause. At its base, the program allows for a 20% transferrable tax credit for companies that spend $500,000 or more on production or post-production in Georgia, either on a single production or on multiple projects. An additional 10% is available if the finished production includes a promotional logo provided by the state. 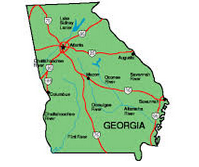 This program has boosted Georgia in recent years to become one of the world’s largest production centers. In the U.S., only California and New York can claim more film and television activity.